Kerala with its backwaters, the coconut trees lining the water bodies, beaches, the typical houseboats, the historic temple towns, beautiful hill stations, wildlife sanctuaries has lots to offer to a tourist. Visit the lush green mesmerizing Kerala and get your senses, your vision touched by an exotic feel that refreshes you thoroughly. The tourist places of Kerala will appeal to any vacationer. Read on to learn more. Kerala is one of the most unique destinations off India and is known as The God’s Own Country. The climate of the place is suitable for holidays all through the year. It has a shoreline that stretches to long distance with its beautiful beaches. There are lush hill stations and the exotic lifestyle at Kerala that makes it more enchanting. The cuisine is different with charming destinations all over. Kerala is known for its hundred per cent literacy rate. It has the best healthcare facilities and considered as India’s Cleanest State. The state has 14 districts and tourism is the main attraction here. The normal range of temperature is about 28-32C while the winter is slight cold. It is one of the most developed states with high-quality life. The literacy rate of women is highest in Asia. The Arabian Sea is in the West and has a network of forty- four rivers. The nearest airports are the Thiruvananthapuram International Airport, Cochin International Airport and The Calicut International Airport. The destinations are categorized as follows:- Backwater; Hills; Beaches; Monuments; Forts and Palaces; Museums; Picnic Spots; Pilgrims; wildlife; waterfalls; places of interest and others. Alappuzha is the canal cruise for spending time in the country boat. All the daily lifestyle is maintained in this canal. Different Kinds of houseboats are available here. The canal is linked with Vembanad Lake. During the ride in the boat one can enjoy the sight of paddy fields and birds catching fishes from the canal. There are also several islands where fishing takes place. There are villages in the banks where one can visit to taste the cuisine of the state. Alappuzha- Kochi cruise is an exotic journey in a royal houseboat in the backwater of Vembanad Lake. The cool breeze and the serene sunlight will relax you to the core. Alumkadavu, Kollam is the place where houseboats are built. The boats are beautifully crafted by the people of the village. The boats are made of natural products like coconut fibre, bamboo poles and wood. The place is famous for manufacturing coir products. Ashtamudi is another backwater that has eight channels and thus the name is derived. It has houseboat cruises. The lake is the second largest lake in Kerala and it takes eight long hours to enjoy the entire journey on the lake. Chandragiri Fort and River is situated in the middle of the Arabian Sea and the Payaswini River. The fort was Built by Shivappa Nayaka of Bedanore. The place is good to see the sunset and the festival Pattu Utsavam is celebrated here. Chitrahaar is a beautiful island and can be availed only through boats. Kavvayi is a backwater famous for its flora and fauna. There are also some islands and it has the biggest wetland in north Kerala. Kumarakom is a village in the Kuttanad region. There is a bird sanctuary located here where several migratory birds like Siberian Storks along with wild duck, cuckoo, waterfowls, teals, herons, darters and egrets are available. There is also the Taj Garden Retreat which is bungalow resort having facilities of fishing and boating. There are also backwater lakes like Kumbalangi, Kuttanad – the rice bowl of Kerala, Mannanam and the Marine drive which is a famous hangout spot. Kolavipalam Beach at Payyoli ha golden stretches of sand and the water are shallow. This area of the sea is suitable for swimming. Turtles are found in the beaches. There is anature conservation centre to protect the turtles named Theeram. One of the most peaceful beaches that usually no tourists avail is the Kizhunna Beach which is 11km from Kannur. Cherai Beach in Kochi is situated in the north of the Vypeen Island. Swimming takes place in this beach. Sometimes Dolphins are seen and the beach has thick coconut trees surrounded. Chowara beach is famous for fishing. The ancient Analothbhava Matha Church is located here. Kasaragod in the Northern district of Kerala has the fort beach. It is the most exotic beach in Kerala. The other beaches for visit are Alappuzha Beach, Beypore in Kozhikode, Chavakkad Beach at Thrissur, Kanwatheertha Beach at Kosaragod, Kappil Beach and Backwaters and Kappil Beach at Kasaragod. Padmanabhapuram Palace is the wooden place in Kanyakumari. It depicts the rich art and architecture of Travancore. There is teak and rosewood carved ceilings with floral designs, Royal chairs having Chinese carvings, mica windows and mahogany musical bows. These are 17th and 18th-century works. The durbar Hall of the place is made by mixing river sand, charcoal, burnt coconut, jiggery lime and egg white to produce the shiny black colour. The place is simply magnificent and its beauty spreads all over the palace. The enormous teak beams and the paintings and the Belgium glass give the palace a royal look. Nilambur Kovilakam, Mallapuram is a residence of the rulers. The palace is famous for its beautiful frescoes. The artwork is also noteworthy. Nearby is the Vettakkorumakan Temple on the grounds of Nilambur Royal Family. The Bekal Fort is in Kasaragod and is the best-preserved fort in Kerala. From the top of the fort one can have the view of the Arabian Sea. There are canons from different centuries in the fort. The fort has international importance and is the shooting spot of several movies. Anjengo fort in Varkala is in the Anjengo seacoast which signifies five coconut trees. It is an old British fort and is now under National Heritage Movements. The several other forts and palaces for visit are the Bastion Bungalow in Fort Kochi, Chandragiri Fort and River, Kilimanoor Palace, Koyikkal Palace at Thiruvananthapuram, Krishnapuram Dutch Palace, Mattancherry Dutch Palace, Poonjar place at Kottayam and Pierce Leslie Bungalow at Fort Kochi. Ilaveezhapoonchira is the place for trekking with the beautiful clear water lakes. The uniqueness is that the valley does not have any tree. Devikulam Hills in Munnar has velvety lawns on the mountain. There are varieties of flora and fauna. Nearby is the Sita Devi Lake having mineral water. The lake is also used for fishing. The Chembra Peak is located in the southern part of Wayanad. It is famous for trekking and it is the tallest peak. Over the peak is a heart-shaped lake that never dries. Grampi is located near Peerumedu which is also known as the eagle rock. There are plantations of cardamom, tea and coffee on the roads of Grampi. The other hilly areas of visit are Echo Point in Munnar, Edakkal caves, Charalkunnu, Agasthyakoodam, Amrithamedu, Dhoni in Palakkad, Gavi, Iringal at Kozhikode, Jatayupara at Chadayamangalam, Kundala, Kuttikkanam, Madayipara in Kannur, Munnar, Mattupetty in Munnar, Nadukani, Neelimala View Point, Neelakurinji bloom, Pattumala in Udupi, Nelliyampathy hills in Palakkad and many more. Monuments like Bizhinjan rock-cut cave at Thiruvananthapuram, the Dutch cemetery, Bekal fort and the secretariat at Thiruvananthapuram are the famous monuments in Kerala. The Ambalavayal heritage museum at Wayanad Stores the collection of second century A.D. The museum consists of clay sculptors, curios, stone weapons, bows and arrows. Tea museum at Munnar is the place that preserves exquisite varieties of tea. Tata tea started the museum at Nallathanni estate. Visitors can learn about the various stages of tea processing in the museum. The other museums of Kerala are Water museum and bio park, Vaidyaratnam Ayurveda museum, Thunchan memorial at Tirur, Thakazhi museum, Peak museum at Nilambur, Sree Chitra enclave, Revi Karuna Karan memorial museum, Police museum at Kollam, Pazhassi Raja museum and art gallery, Arakkal kettu museum at Kannur, Archaeological museum at Thrissur, Hill Palace museum, Indi Portuguese museum, Keralam, Koyikkal palace, Krishnapuram palace, Kuthiramalika palace museum, Maritime museum at Kochi, Museum of Kerala history and Napier museum. Kerala is the home of several wild animals and birds. Several sanctuaries like Aralam wild life sanctuary, Begur wildlife sanctuary, Chimmini Dam and sanctuary, Kinnar wildlife sanctuary, Eravikulam National park, Idukki wildlife sanctuary, Kadalundi Birds Sanctuary, Kumarakom Birds Sanctuary, Muthanga wildlife sanctuary and many others are such reserve parks plays a pivotal role in conserving the flora and fauna of Kerala. Kerala is beautified by the various water falls like Adyanpara waterfalls, Cheeyappara and Valara waterfalls, Dhoni, Kanthanpara waterfalls, Palaruvi Waterfalls and many more. Kerala has different culture and religious belief. There are temples as well as churches. Temples like Achankovil Temple in Kollam, Alapra, Ambalappuzha Sree Krishna Temple, Ananthapura Lake Temple in Kasaragod, Aranmula Parthasarathy Temple, Arattupuzha Temple, Aryankavu in Kollam, Arthunkal Church, Bathery Jain temple, Chakkulathukavu Sree bhagavathy Temple, Champakulam Church, Chavara Bhavan, Chengannur Mahadeva Temple, Chendamangalam Synagogue, Cheraman Juma Masjid in Kodungalloor and many more. Kerala is famous for its festivals, magnificent destination for traveller. The place is also famous for the rich Ayurveda tradition and herbal medicine. The food habit of Kerala and the treatment have become a significant part of Kerala’s lifestyle. The rejuvenation therapy is famous in Kerala as it flashes out the toxic elements from the body. Kerala has grown immensely due to tourism and has achieved global importance. Tourism has helped Kerala in generating employment and to earn revenues to foreign exchange. This has helped in facilitating the overall development of Kerala. 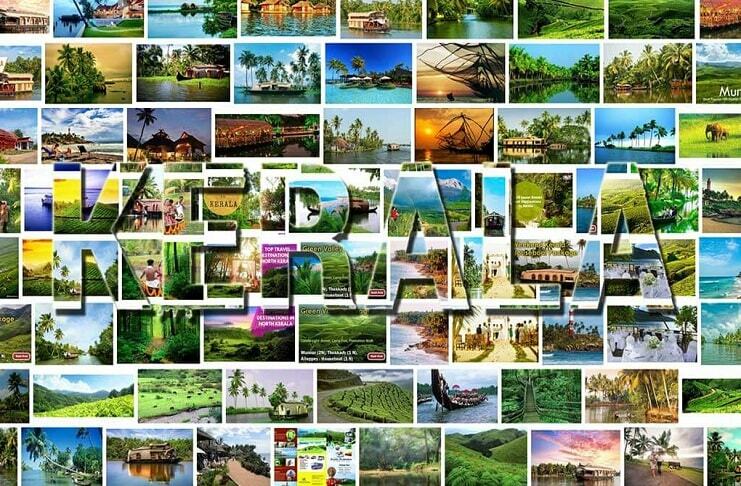 As the national geographic travel states Kerala stands among the ten paradises of the world. Kerala has different types of tourist packages, Honey-Moon packages, Kerala Destinations and many more. Munnar is world famous for Honey-Moon. 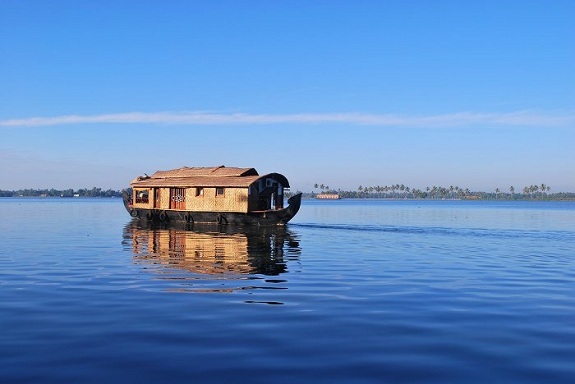 Houseboats are unforgettable and integral part of Kerala. The accommodation facilities are of various types to suit the taste of the guest. There are Jungle resource, farmhouse, houseboat, and hotel. There is also the facility of enjoying the lifestyle of village and Kerala culture in home stays. Kerala is highly attractive for its ritual art like Arjuna Nritham, Kalamezhuthu, Kavadiyattam, Margomkali, Mudiyettu, Paana, Padayani, Poothanum Thirayum, Theeyattu, Theyyam, Tholppavakkoothu etc. Onam is their main harvest festival. During Onam, Kerala’s biggest celebration, the people create pookkalam, a kind floral carpet which designs in front of their houses. Besides the religious customs, the people of Kerala have five classical dance forms like Kathakali, Mohiniyattam, Krishnanattam, koodiyattom and Thullal. With the temple culture of the region, there are other dance forms like Padayani, Kaliyattam, Theyyam and many more. Kerala tourism has introduced various packages for the travellers all over the world. The Tour Package of Kerala comprises of 4 nights and 5 days. The standard package for a family comes around Rs 12000. Excellent package of Honeymoon starts from Rs 18000 per couple. The Kerala tourism has got best National Tourism Award by Government of India in the year of 2009-10. Undoubtedly, Kerala is the most extraordinary place for the travellers. The green beauty and the transparent water life are really appealing to everyone. Rice is the staple food of Kerala and the diet is different from the rest of India. As it is seaside non veg food like fishes and prawns are famous. Kerala does not have prejudices related to food. That is due to the education level prevailing in Kerala. The ample use of coconut is found in food. All form of coconut such as the powder; paste, coconut milk, and oil are found in the cuisine. There are lavish spices like chillies, ginger, cloves, cardamom and pepper in the food makes the hood spicy hot. Vegetarian foods are also famous in festival days, especially during Onam. Vegetables like onions, garlic, ginger and beetroot are found in different food items. The cuisine is divided into four basic styles depending on the ingredients- Central Kerala, Southern Travancore, Central Travancore and Malabar. One of the most famous foods of Kerala is the Sadhya which consists of several items such as the olan which is a dish of pumpkin, koottukari, istew, mezhukkupuratti, erissery, pachadi, kichadi, thoran, kaalan, Injipuli and avail. All the items make the grand Sadhya. Sambar and Parippu along with Achar is also served with food. Sweets like Adas, Kozhikode halwa; Kozhukkatta, Pazham-pori and Unniyappam are famous in Kerala. With all the cultures, scenic beauty, and grandeur of Kerala as it becomes one of the most attractive locations. It attracts tourists not only from India but also abroad all throughout the year.